New BlackBerry phone to arrive today? RIM promises something "new, shiny and social." Could Tuesday see the launch of the BlackBerry Bold 9900 (aka the Bold Touch)? A new BlackBerry handset is likely to be unearthed on Tuesday following a post on the company's Facebook page. 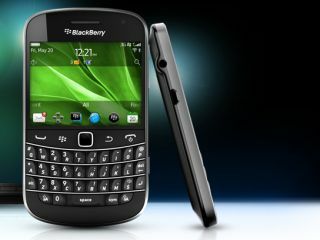 The post late on Monday alerted Blackberry fans to the arrival of something new, shiny and social. "Hey Team BlackBerry, what's shiny, new and social all over? We want to tell you all about it. Can you guess what it might be? Tune in tomorrow for details!" read the post on the social networking site. The smart money is on the revelation of an official launch date for the BlackBerry Bold 9900, which was unveiled at BlackBerry World back in May. The Bold 9900 is the thinnest BlackBerry smartphone yet, is the first Bold to boast a touchscreen and features the brand new BlackBerry 7 OS. Other reports suggest the release could be the Torch 2 or the yet-to-be-announced BlackBerry Bold 9790, codenamed Bellagio, which emerged in a leaked video last week. RIM CEO Jim Ballsillie promised that there would be seven new smartphones boasting the BlackBerry 7 coming over the coming months. RIM will hope whatever is on the agenda for Tuesday will give the company and its fans something to cheer about following a horrible first half of 2011. Just yesterday the company began laying off 2,000 staff as part of a "cost optimisation program" at the company's headquarters in Waterloo, Ontario, Canada.